Georgia Ruth Morgan, 75, died after being attacked by two pit bulls in Gulfport. UPDATE 05/17/18: Harrison County Coroner Gary Hargrove has identified the victim as 75-year old Georgia Morgan. Hargrove said she died of her injuries after being attacked by two dogs Wednesday morning on Deidra Court. Gulfport deputy police chief Chris Lopposer told WLOX: "Through an investigation, we determined that a woman entered a closed property through a gate, shut the gate behind her, and while inside the fenced in yard, was attacked by two dogs." 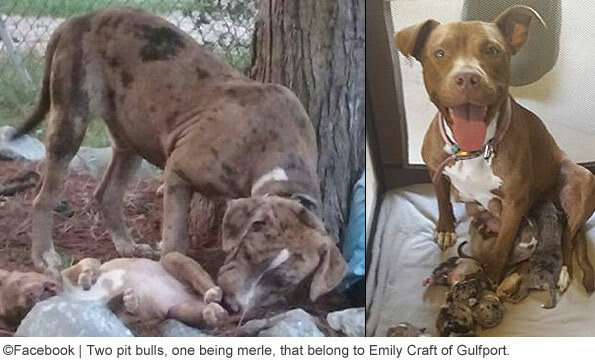 Morgan was mauled to death by two pit bulls belonging to Emily Craft. Police arrested Craft afterward on an outstanding warrant from 2017. There is only speculation as to why Morgan entered Craft's yard. Morgan was known as "the can lady" who collected cans in the area. She may have been trying to reach cans she saw in Craft's yard. Diana Jones, who lives next to Craft, said, "How she got in, I don't know, but she was going to get her cans." In 2017, after Craft's pit bulls attacked Jones' dog for the second time, Jones filed a vicious animal complaint. This is why there was an outstanding warrant for Craft's arrest. Jones also spoke to Fox10 News. "We heard a cry, a scream," Jones said about the morning of the attack. "There was pieces of clothing and stuff all in the front yard ... I hit the floor when I found out it was her." Jones showed Fox10 how Craft's pit bulls would escape the fencing around the home. She said Craft's pit bulls have always been aggressive. Craft surrendered both pit bulls to authorities for euthanasia. No criminal charges have been filed in connection to Morgan's death. 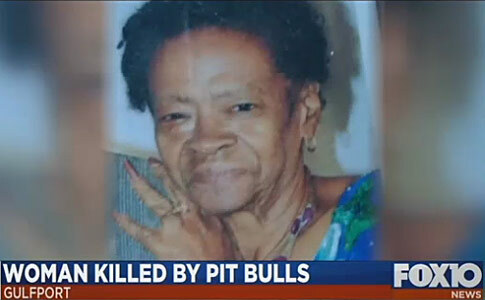 Gulfport, MS - An elderly woman is dead after being attacked by two pit bulls. On Wednesday, just before 8:00 am, Gulfport Police responded to a call of a woman being attacked by pit bulls in the 14400 block of Deidra Court. Arriving officers found the woman in the yard of a home, but she had already succumbed to her injuries. Gulfport Detectives, Crime Scene Units, and the Harrison County Coroner responded, states a news release issued by the Gulfport Police Department. According to investigators, the 75-year old woman was known to walk in the area. 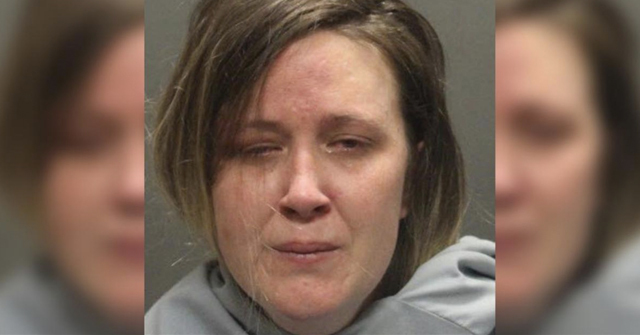 She allegedly opened a closed gate to a fenced-in yard and was attacked by two pit bulls that resided inside. The victim did not live at the home, states the release. The owner of the two pit bulls surrendered both animals to Gulfport Animal Control. "While this is a tragic situation which is still under investigation, there are no charges at this time," states the Gulfport Police Department release. The Sun Herald reports that Gulfport Police arrested the owner of two pit bulls that attacked and killed a woman this morning. 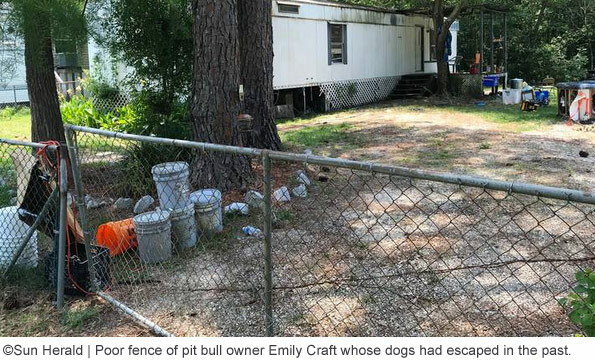 Emily Craft was arrested after the fatal mauling on an outstanding warrant issued last July for two misdemeanor charges -- having a dog at large and a vicious animal charge. A neighbor of Craft, Diana Jones, filed the vicious dog complaint after Craft's two pit bulls attacked her golden retriever for a second time. Jones did not report the first attack. 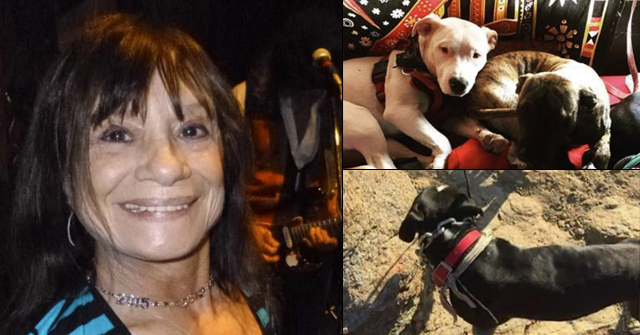 Police have not released the name of the 75-year old woman killed by Craft's pit bulls. 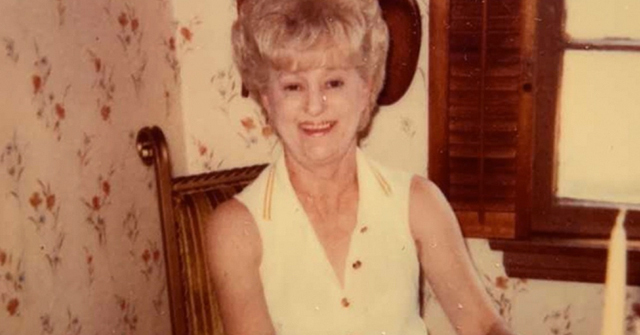 She was known in the Orange Grove neighborhood as "the can lady." She walked daily and collected cans in the neighborhood. She was a kind lady and always greeted the children at the bus stop, Jones' daughters told the Sun Herald. Gulfport Police continue investigating her death. Sadly, there are other innocent victims of pit bull maulings whose only acts were daily walks and collecting cans. The Sun Herald article states that the name of Craft's large male pit bull is "Cash." An Intelius search revealed that only one Emily Craft resides in Gulfport, Mississippi. 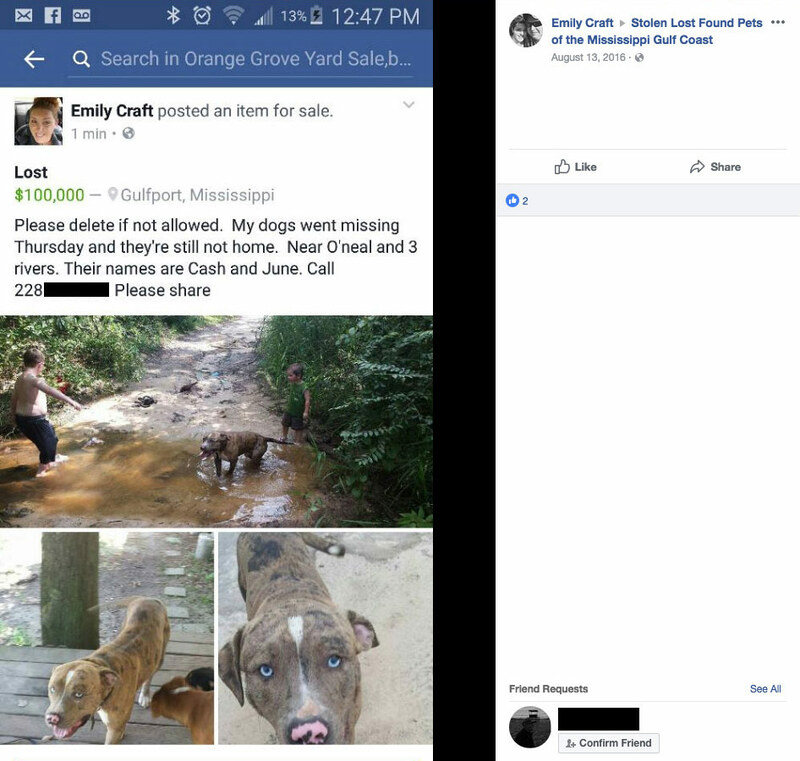 In August 2016, a Gulfport-based Emily Craft Facebook user posted a "lost" announcement stating that her two pit bulls, Cash and June, "went missing." She claimed a $100,000 reward on the Stolen Lost Found Pets of the Mississippi Gulf Coast Facebook group for anyone who located her missing pit bulls. Craft is also a backyard breeder and seller of pit bulls. In December 2016, this same Craft posted about pit bull puppies for sale in the Slidell Online Garage Sale group. Of all things, she was trying to sell merle pit bulls for $200 to $250; most pit bull breeders and organizations disdain merle breeding. 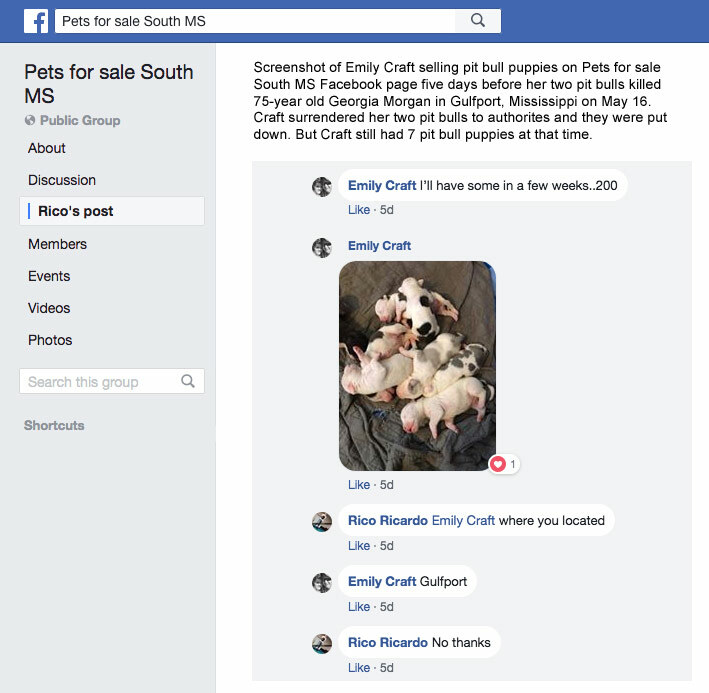 Just five days ago (expand comments), Craft posted about non-merle pit bull puppies for sale in the Pets for sale South MS Facebook group. The price of her puppies is $200 each. We continue to work to verify this suspected pit bull owner in this breaking dog bite fatality. At about 11:00 pm Central Time, Fox10 News identified the victim as Georgia Ruth Morgan. View the DogsBite.org Google Map: Mississippi Fatal Pit Bull Maulings. Yet another attack trigger: Picking up cans in your neighborhood. Ka D, you are so right! It's disgusting that those genetics were passed on. I have contempt for anyone breeding pit bull-type dogs and continuing such undesirable genetic traits. 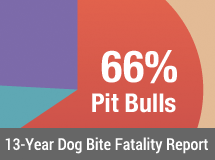 I remember reading that even the AKC AmStaff standards (if I remember correctly) allow for some level of dog aggression in these dogs' temperament.